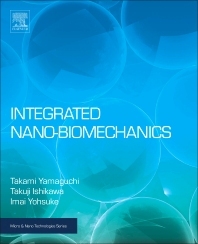 Takami Yamaguchi is an Emeritus Professor at the Graduate School of Biomedical Engineering, Department of Biomedical Engineering, Tohoku University, Japan. Takuji Ishikawa is Professor at the Graduate School of Engineering, Department of Finemechanics, Tohoku University, Japan. Yohsuke Imai is an Associate Professor at the School of Engineering, Tohoku University, Japan.